The popularity that the Chilean artist Pascal Krumm has reached in Instagram, where was named as a remarkable global user, it is not a coincidence. His works are able to perfectly understand the needs and demands requiered nowadays by the digital format. The scenes there protrayed, that mixes rality and fiction in a line difficult to identify, narrate fantastic public situations. Pascal Krumm is a Chilean artist that joins the photography and digital art in his work, with compositions filled of color, geometrical simpleness and a constant interest for the music. All that makes of his work an invitation to get even more into the imaginary of this artist. The visuality of his works also directed him to the musical world, an union that Pascal knew how to take advantage of and in which we can appreciate his photographic talent combined with the rhythms and styles of the musical bands. Despite of his emerging success as a audiovisual producer, he has not left aside his esthetic researches linked to the photo-digital compositions filled with color and an impressive definition. 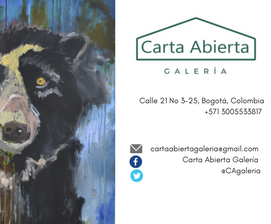 His works introduce us inside of the artist’s mind, a place where we see reflected all his interests, with the possibility to explore a more creative side than the one captured in his audiovisual work. In Arte Al Limite we want to transmit our passion for the new and talented artists that emerge in Latin America. This is why, we have prepared an special sale of Pascal Krumm where the audioviual artist chose the most selective of his art with unique offerts for the occasion.Own as well the motto #YoComproArteAAL (#IBuyArtAAL) and help to spread the Latin American art through the purchase of one of his pieces that you will be able to enjoy in any place you choose.